Dan Maxwell is a leader, scholar/practitioner, change agent, educator, and advocate. 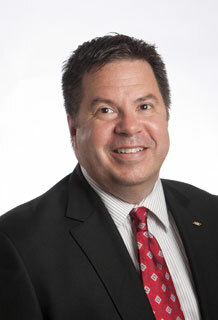 He currently serves as the Interim Vice President for Student Affairs at the University of Houston Clear Lake and in a modified dual role as Associate Vice Chancellor for Student Affairs for the University of Houston System and Associate Vice President for Student Affairs at the University of Houston. Armed with a great sense of humor and an engaging personality, Dan is a results-oriented professional dedicated to developing teams to achieve valuable performance results. Dan’s 30 years in higher education has brought him across the country and back with stints at Syracuse University, the University of Arizona, Western Illinois University, Indiana University-Purdue University Indianapolis, and now the University of Houston. Dan is also active in his professional associations and is a current member of NASPA – Student Affairs and Administrators in Higher Education, a former two-term national president of the Association of College Unions International, and currently serves as the Association’s Research Coordinator. Dan received his Doctorate of Education in Higher Education and Student Affairs with a minor in Philanthropic Studies from Indiana University. His research interests include campus ecology, physical space, and community building. Dan and his partner Steve joined The Diana Foundation over three years ago after moving to Houston and attending a number of events. “Our first night in Houston included a Diana social event at our friend’s home where we were staying,” shared Dan.